Versatile ribbon, a redesign of the best ribbon mics of the 30s and 40s. and was cherished for its smoothness, forgiving nature and unique tonal balance. As collectors began to buy up the supply of RCA 44s through the 90s, the availability of this wonderful ribbon mic to the studio was greatly endangered. Wes Dooley, a specialist in ribbon mics of all kinds, recently began a project to restore availability of the RCA 44 to its rightful position in the studio. After tracking down the folks who built and designed the original RCA 44, Wes’ company, Audio Engineering Associates, acquired the ribbon material, made the tooling and custom machined the parts necessary to build the original RCA 44 B/BX design as it was in the 1930s. After years of painstaking work, AEA has again begun production of the most important ribbon mic of all time: the AEA R44C. How is the R44 different from other ribbon microphones? The 44 was RCA’s best microphone from the 1930s into the ‘50s. Is AEA’s R44 that good? Both listeners and measurements say that the R44 is better. Why would that be? Using original ribbon material with modern high-strength magnets helps. Com- bining the original American undamped ribbon design with British RCA 44 innovations that lower the weight and hum sensitivity contributes to further improvement. Listening to comments from both users and ex-RCA engineers for over 20 years has also had a lot to do with how good AEA’s R44 has become. 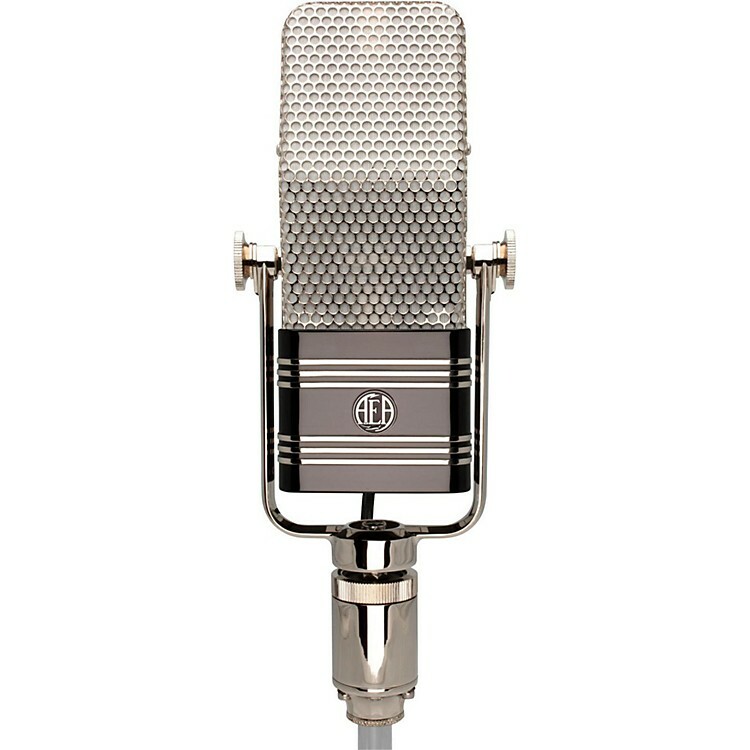 The R44 design runs contrary to all current ribbon microphone manufacturing. It is large and heavy when other microphones are smaller and lighter. The internal ribbon element is by far the longest and its resonance tuning the lowest of today’s rib- bon microphones. It is a pure undamped ribbon design, an approach that has been out of production for over 50 years while remaining in continuous studio use. It is different, and its sound is unique. The R44 sounds good on everything. Leave it out and use it whenever you need to do a quick take. Everyone has a favorite use and everyone finds they sound good anywhere: brass, woodwinds, percussion, strings or voice work. AEA developed a modified R44 transducer, called the X-Motor, that includes two additional magnets that provide an extra 6db of output. With a sound identical to the original 44, the X-Motor ‘hot rod’ mod is useful for scoring and classical sessions and other applications demanding a wide dynamic range with the classic 44 sound. Available as an upgrade in R44C and CE models, the X-Motor version of the R44 bears a red-badge on the outside instead of the standard black badge. Nothing like it. Your studio will never be the same. Consider this microphone.